Students age 12 and 17 have the opportunity to learn about coding and to explore the use of the Arduino microcontroller to automate the world around them in their experience at the Coding with Arduino Boot Camp hosted by LASER-TEC at Indian River State College (IRSC). 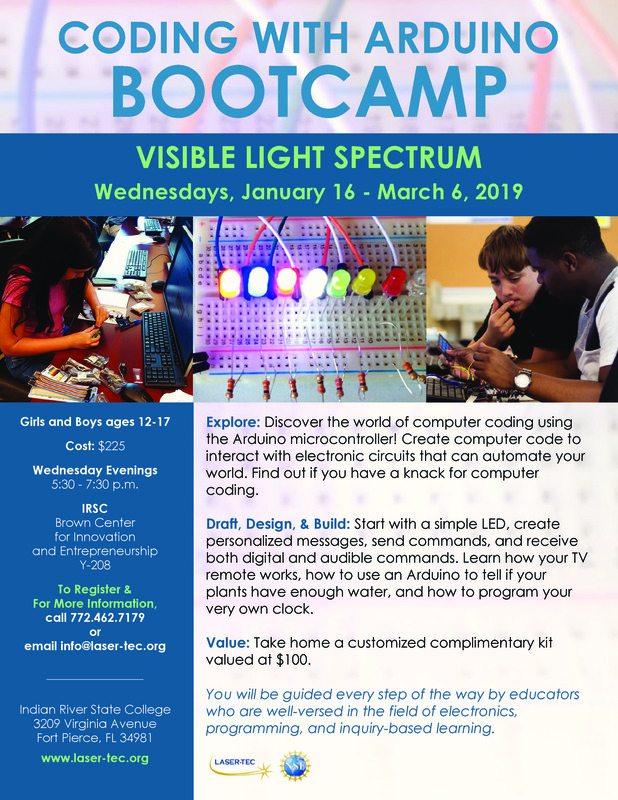 The Arduino Boot Camp starts Wednesday, January 16, and features a special focus on the visible light spectrum. Arduino Boot Camp students have the opportunity to draft, design, and build as they program a light emitting diode (LED), create personalized messages, send commands, and learn how to receive both digital and audible commands. Boot Camp activities will teach students how their TV remote works, how to use an Arduino to see if plants have enough water, and how to program their very own clock. The Coding with Arduino Boot Camp takes place on Wednesday evenings from 5:30 to 7:30 p.m. from January 16 through March 6 in Y-208 on the IRSC Main Campus at 3209 Virginia Avenue in Fort Pierce at the Brown Center for Innovation and Entrepreneurship. Cost for the Boot Camp is $225 and includes a customized, complimentary kit valued at $100, which boot-camp participants take home. 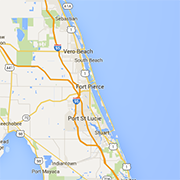 For more information or for registration visit laser-tec.org, call 772-462-7179, or email info@laser-tec.org.